It's got a near-monopoly on personal finance software, and now Intuit is looking beyond the desktop and to the cloud. 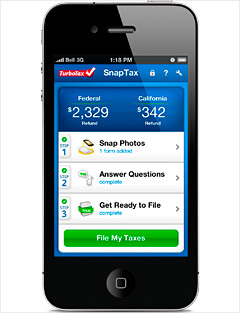 The business: About 24 million U.S. customers use Intuit's TurboTax service online or through mobile devices. Intuit processes billions in refunds for electronic tax filers every year. Intuit dominates the market for DIY financial-management software, a category that the $3.9 billion company basically invented 29 years ago. Having faced down Microsoft and many other would-be competitors over the years, Intuit is now branching into new markets like mobile apps that help patients make sense of medical billing statements or farmers track commodity prices. Although this diversification strategy carries risks, few analysts are betting against Intuit, the most admired software company in America this year. Which companies have the best reputations? Apple tops the list for the fifth year in a row. Who else made the top 50 this year? Quiz: Which is more admired?